Home » Periods and Seizures: What is Catamenial Epilepsy? That time of the month can sometimes be a hassle, what with expensive sanitary products, pain, bloating, the general desire to fall into a pit and never crawl out again. All of those things add to the already unpleasant yet (sometimes) mandatory experience that comes with having a uterus. I’m assuming the readers here are familiar with the weird hormonal shifts and other ways that periods can mess with your body’s overall functioning. However, these complications can become more dangerous and possibly life-threatening when you throw a chronic neurological disorder into the mix. I’m talking about the chronic risks of having your period while epileptic. 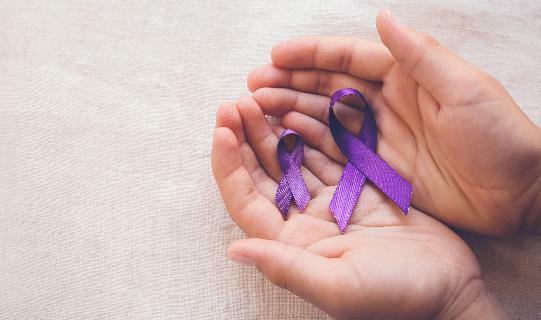 It’s little researched and little discussed, but women with epilepsy can experience an increase in seizure activity at varying frequencies throughout their monthly cycle. Before I keep going, it might be important to explain some of the basics of epilepsy. For those of you who don’t know, epilepsy is a chronic neurological disorder in which a range of seizure activity is experienced in a particular pattern corresponding to an individual’s neurological makeup. Sometimes, a person may have physical scarring on the brain tissue, which then causes seizures. Sometimes, a person may experience intense migraines while seizing. Or, if you have temporal lobe epilepsy, an epileptic individual may experience hallucinations or fragments of sounds. Whether or not one seizes depends on the strength of their “seizure threshold.” This concept basically surmises epilepsy as this: people with epilepsy will be seizing always, but whether or not they have a “breakthrough seizure” is determined by the strength of their threshold. This threshold basically acts as a wall between the body and the seizure activity itself that can be weak or strong depending on certain things like the person’s immune system, their genetics, their overall health, exercise, diet, sleep, etc. Chart that describes possible causes of epilepsy. 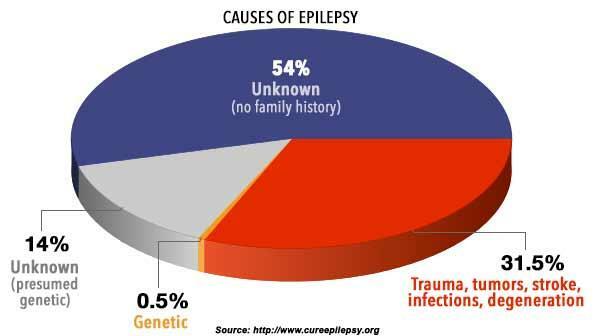 It’s important to notice how the majority (68%) of causes are virtually unknown both for patients with or without genetic predisposition to epileptic disorders. From Citizens United for Research in Epilepsy (CURE), c. 2017. In essence, if we take better care of ourselves, the stronger our seizure threshold will be. It’s a part of the usual list of things that we tell ourselves we’ll totally get around to doing while simultaneously eating an entire bag of Rolos in one sitting. 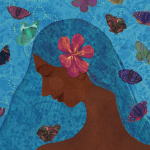 For women with epilepsy, period cycles can affect the strength of this threshold. So, during a woman’s period, the stones of her metaphorical wall can become brittle and weak and fall out in tiny pieces. In these cases, some women can control seizure activity through contraceptives and other hormone treatments; but, again, there is a significant lack of research beyond community voices that can discuss the overall effectiveness of this method. 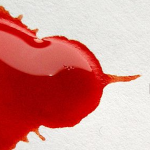 As many women know, there are consistencies and patterns that make up the average period, but periods are also an extremely individualized experience. In short, no two periods are alike. This combination of the body’s natural inconsistency and lack of research both on women’s bodies and epilepsy in general creates a range of terrifying and strange experiences for women with catamenial epilepsy and/or women with epilepsy in general. Sometimes, contraceptives may work to curb the seizures, but, again, while some things are consistent, individual bodies will react differently to this combination of treatment than others. The fact that the overall relationship between epileptic activity and period cycles is heavily under-researched presents several challenges for women with epilepsy in particular. To illustrate this, let’s think about driving as a person with epilepsy. In most parts of the United States, there are driving laws which determine when and how a person with epilepsy can drive. To go through this process, you need approval from your neurologist. Before you can get approval from your neurologist, you need to prove that you’ve been seizure free for the amount of time that these laws require. This can range from as little as six months to as long as two years. On the surface, these laws make a great point: having a seizure disorder could result in serious injury towards the general public if left unchecked. However, the problem with these sets of standards is that the inherent structure of these laws rely on language that assumes that epilepsy is something that can be ended, despite that the disorder is inherently chronic. For women with catamenial epilepsy, there is no end date. There is no perfect drug cocktail that will completely eradicate their seizure disorders. While there are definitely epileptics that drive, many of them do not due to their seizure activity. For women with catamenial epilepsy, the struggle is that you know and expect your seizures to not end because they will inevitably happen every single month. The purple ribbon signifies epilepsy awareness. From Shutterstock.com, c. 2017. This may seem like a small thing, and perhaps it is, but to someone with epilepsy, independence means a lot more than most people can fathom. In particular, an epileptic’s ability to take care of themselves relies on their ability to practice and prove that they maintain control over their seizures on a frequent basis. The inherent problem with this structure is that, for women with epilepsy, there is less of a guarantee that they can expect their drugs to work consistently when factoring in how they’ll react during their monthly cycle. These are the underexplored aspects of epilepsy that have real-world consequences while there is little to no research invested in the female body and, more so, the female epileptic body. At this point, if you don’t have epilepsy or, at least catamenial epilepsy, you may be asking yourself how you can help. It’s not an unreasonable question, but it may be one without an answer. As of now, there is no cure for epilepsy. As I’ve mentioned throughout the post, the disease is under-researched, and the information about its impacts on women are severely limited. However, organizations like the Epilepsy Foundation and CURE are working to increase research funding for epilepsy. If you happen to know someone with catamenial epilepsy, the best you can do is be a friend. Offer to help out whenever you can. Even if they seem completely able-bodied, take the time to ask that friend or relative if they’re doing well. Even though there is no concrete solution to this complex problem, a great start is through offering your support, even if you think it has no impact. Trust me, anything you can do to help will matter. A.J. Martin is an author, academic, and an activist of disability rights based in Boston, Massachusetts. 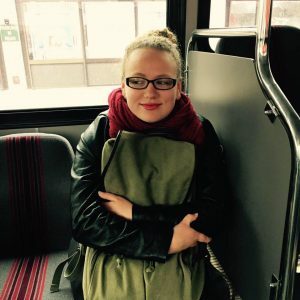 She is the creator of “If I Can Deal, So Can You: A blog about dealing with epilepsy in everyday life.” You can find her blog at https://ificandealsocanyou.com/. Twitter: @alyssajaymartin. Our thanks to her for bringing this topic to our attention. Good article for non-epileptics to read. Hope this helps to raise awareness.